As I do often, I want to share a book review from the Museum of the American Revolution, which will open next April in Philadelphia. This book looks to be a valuable tool in understanding the War of Independence. 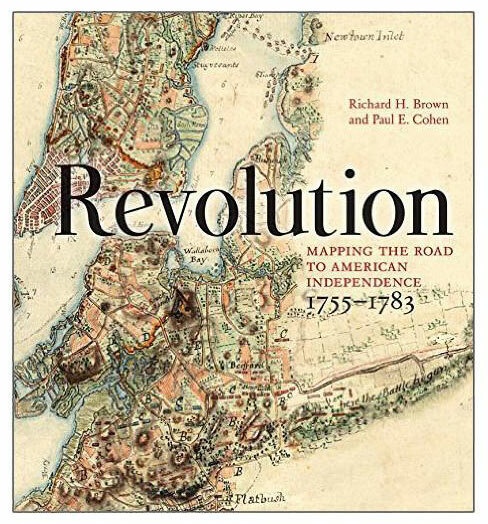 Through a collection of sixty historic maps, Richard H. Brown and Paul E. Cowen’s Revolution: Mapping the Road to Independence 1755-1783, charts the shifting territorial claims and geographic strategy behind military campaigns from the Battle of Fort Duquesne at the start of the French and Indian War (1755-63) to the Siege of Yorktown at the end of Revolutionary War. 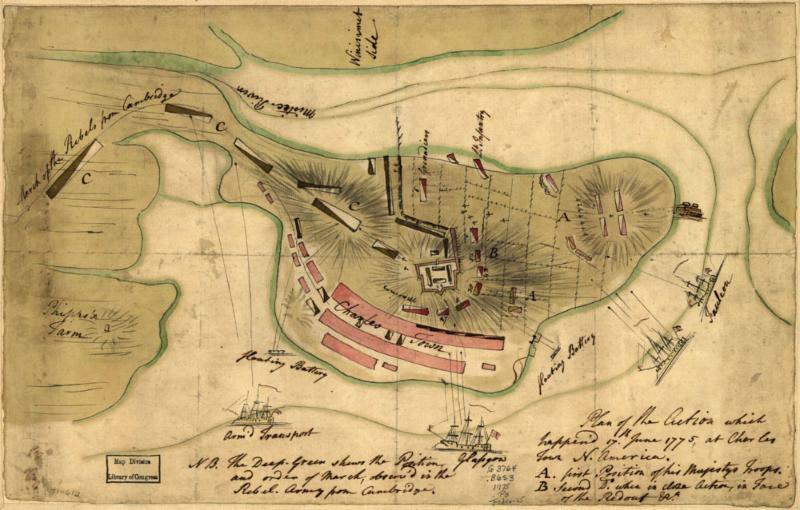 The following excerpt features maps from the Battle of Bunker Hill, also known as the Battle of Breed’s Hill. Map 1: Montrésor, John. 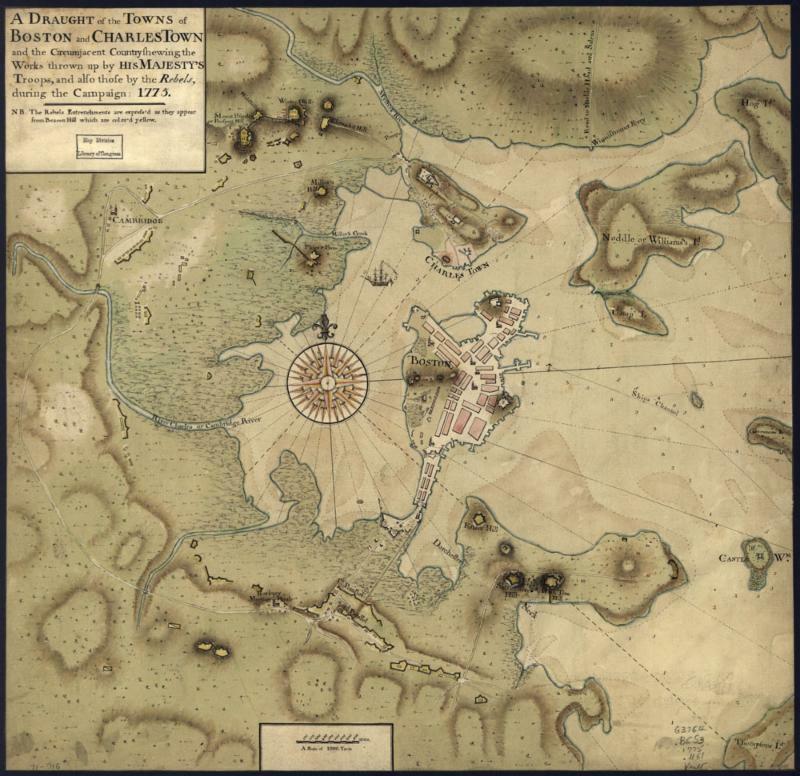 A draught of the towns of Boston and Charles Town and the circumjacent country shewing the works thrown up by His Majesty’s troops, and also those by the rebels, during the campaign: 1775. Map. Retrieved from the Library of Congress, https://www.loc.gov/item/gm71000916. Map 2: Page, Thomas Hyde, Sir. Plan of the action which happen’d 17th. June 1775, at Charles Town, N. America. Map. Retrieved from the Library of Congress, https://www.loc.gov/item/gm71000612. Correction: In the last Read the Revolution featuring Patriot Pirates: The Privateer War for Freedom and Fortune in the American Revolution, we incorrectly identified the author by his grandfather’s name. The author is Robert H. Patton. Thank you to all of our loyal readers who contacted us about the mistake. Read the Revolution is published biweekly by the Museum of the American Revolution to inspire learning about the history of the American Revolution and its ongoing relevance. Click here to subscribe to Read the Revolution. To learn more about the Museum’s plans for a national museum in Philadelphia that will explore the complete story of the Revolution, visit our website.